Less is more—we've all heard that before. 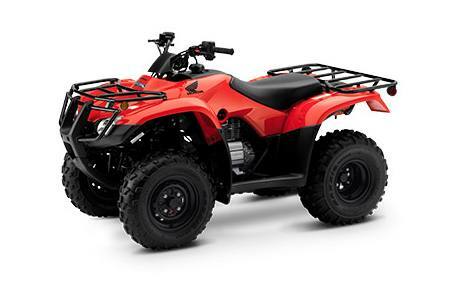 But when you're looking at a hard-working ATV without an extra ounce of fat, well, that's the Honda FourTrax Recon. It's distilled Honda quality and performance in a package that's right-sized for plenty of riders. The Recon is a powerful, versatile, rugged ATV, but one that also offers a smaller overall footprint. It's a powerhouse of an athlete in the welterweight division. A specially designed 250-class engine is engineered for plenty of low-rpm torque and power, where the real work gets done. 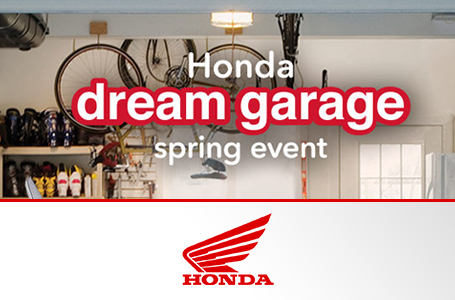 Its two-wheel-drive layout features Honda's famous longitudinal engine design for more efficient power transfer. Plus, the Recon is available in two different models: one features our conventional foot-shift ATV transmission, while the Recon ES offers Honda's Electric Shift Program (ESP), which lets you upshift and downshift using two handlebar-mounted buttons. Push-Button Shifting: The Recon ES features Honda's Electric Shift Program, allowing you to easily up- and down-shift with your thumb using two buttons conveniently located on the handlebars. Details That Make a Difference: We never stop making the Recon better, and here is one example: Need to get out of a tight spot on the trail? The Recon sports a reverse lever that's designed to be simple and easy to use. Uniquely Designed Floorboards: Both the Recon and Recon ES have uniquely designed floorboards, which allow the rider's feet to grip the footrests while helping keep mud and debris away. Effortless Electric Starting: When it comes to starting: Turn a key, push a button, and you're off, even in cold weather. A backup recoil starting system provides added confidence. Reverse Mechanism and Parking Brake: Mounted up on the left handlebar along with the parking brake, the Recon's reverse lever is simple and easy to use.